I am so excited to be a part of this dynamic company! Today I am featuring another 3 AMAZING dies. and we all put in and purchased EVERY single SU! I embellished with a Prima Marketing Sculpture Flowers and SU Mini Pearls!! ALL Papers are Stampin Up! And.... OH MY GOSH A NEW RELEASE is Coming, Stay Tuned!!!! Love the colours and the design, it's a very pretty card. 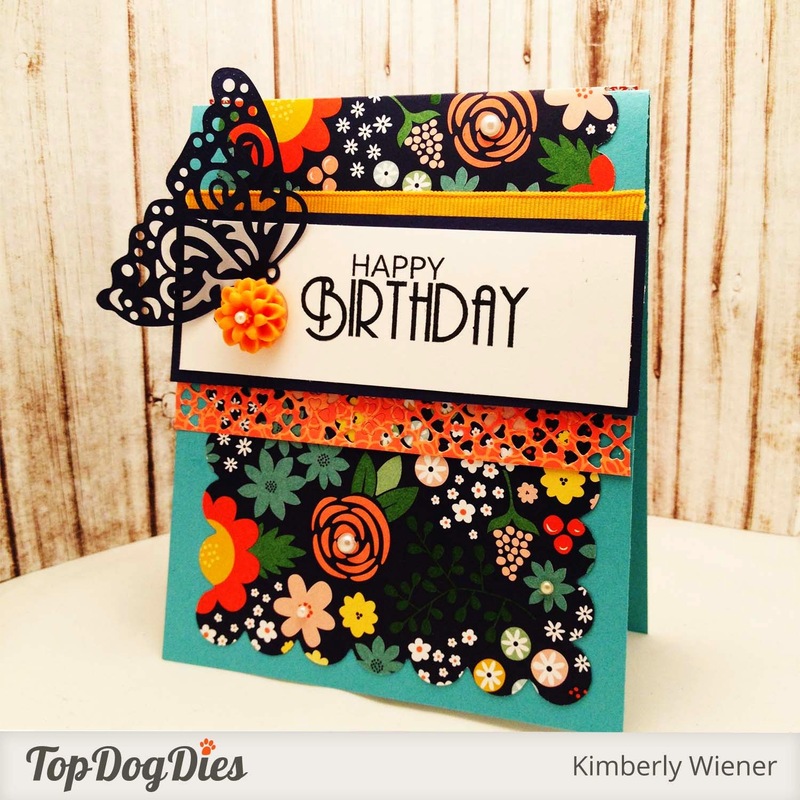 Kimberly this is such a gorgeous card--so rich and vibrant and wowsa, does that butterfly look great in black!! Is there any style you don't excel at? My goodness, girl...this is gorgeous!!! So pretty and bright, love this! Just beautiful...I love the black butterfly too, so classy. beautiful! that patterned paper pops with the black butterfly! the papers and black butterfly are just gorgeous together! Yikes! 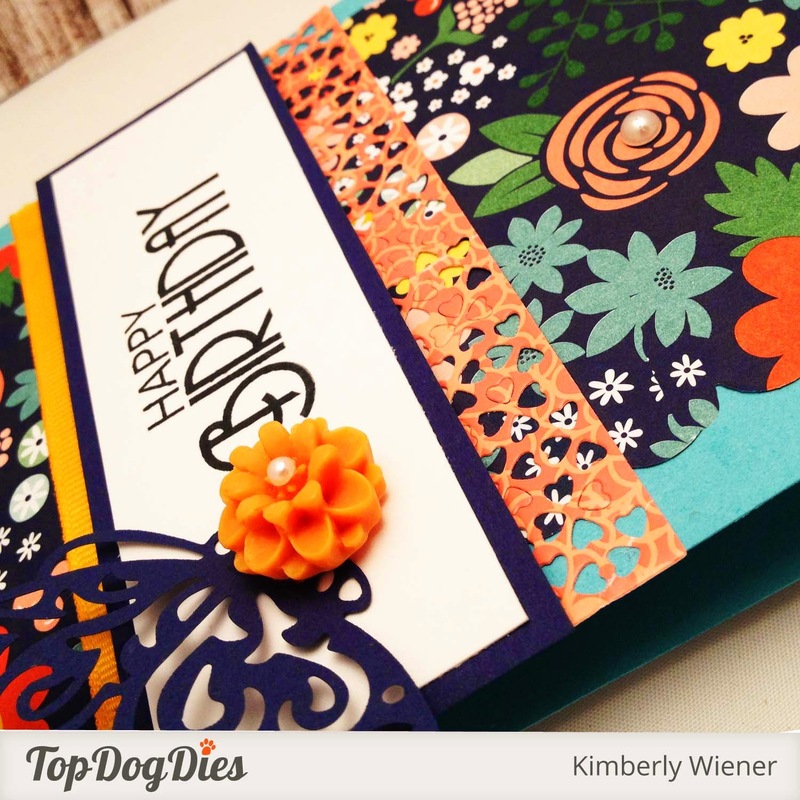 The dies are wonderful and your card is fantastic, Kimberly! WOW. You gotta remind me about that paper on Saturday...it's stunning. gorgeous card! This is stunning. The paper is bold and beautiful - and the butterfly is so amazing, it still stands out on all of that rich color and pattern. You and Top Dog Dies are "the" perfect match, as this card, again, clearly shows! Rich colours, beautiful images, a striking card, indeed! Wow, wow and wow! Butterfly..sighhhhh!